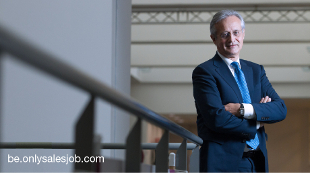 Philippe Haspeslagh, dean of the Vlerick Business School. Become a pragmatic, result-driven marketing professional with our intensive marketing programme. Broaden your perspective on international business and maximise your career opportunities. This intensive, high-level management programme provides you with a theoretical, conceptual and practical foundation for understanding and applying the latest techniques and insights in Marketing & Sales. It is a long-term programme that requires about three years of experience in Marketing or Sales. Our short focused programmes address today’s most relevant business issues in a short but intense programme format. The number of programme days varies from 1 to 10 days, dependent on the programme. "Logistics is a driver for future purchasing"